Friday was national Park(ing) Day. This national movement converts parallel parking spots into a park for a day. 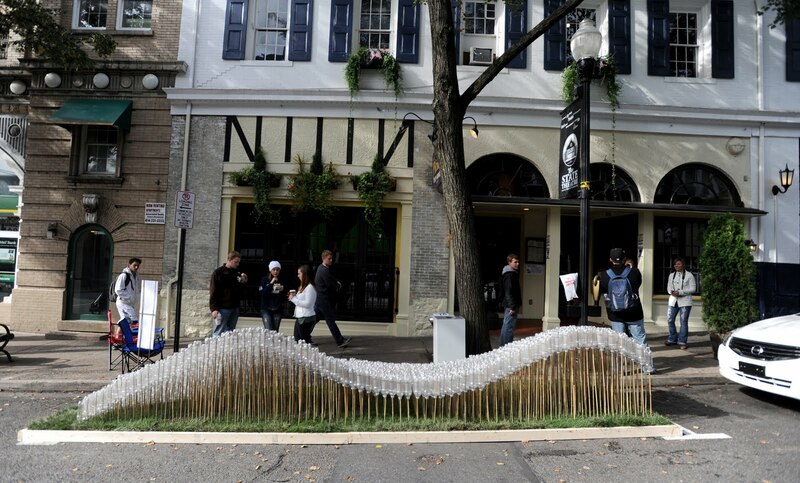 Three teams of Penn State Landscape Architecture students took part in the event in downtown State College, but with a twist to their parks. Everything they used had to be recyclable and had to draw in community interaction. It was a great brisk morning to photograph and see what they came up with. 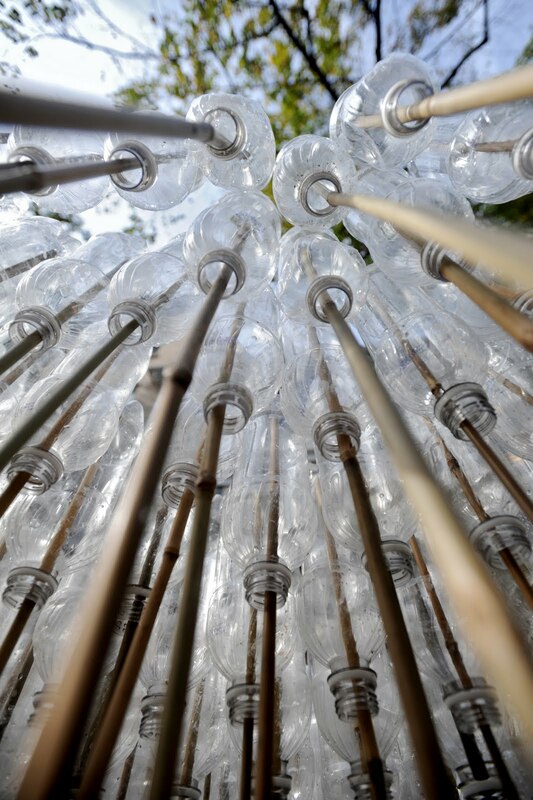 The first team, "Plastic Earth," made a landscape out of used plastic bottles, and bamboo. Their effort was to show passerby's what could end up in our parks if people don't recycle. 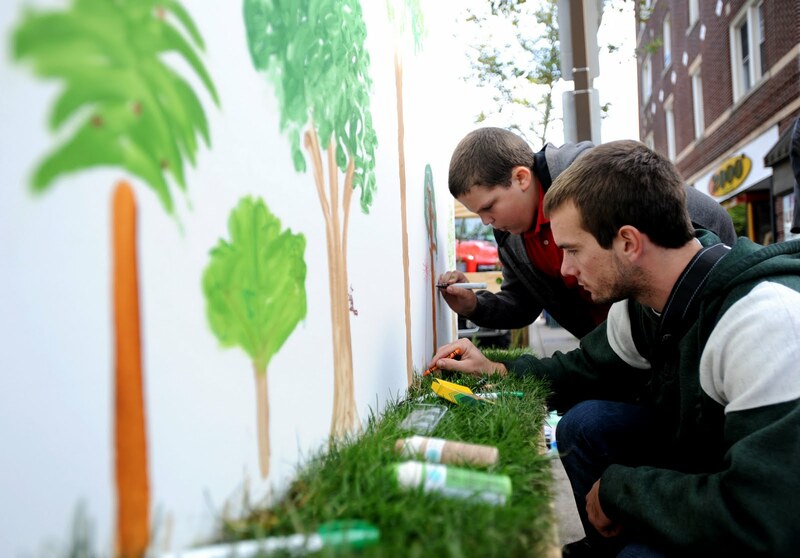 The second team, "Take a Tree, Leave a Tree," had a large piece of dry wall and invited anyone to come draw a tree on the mural. 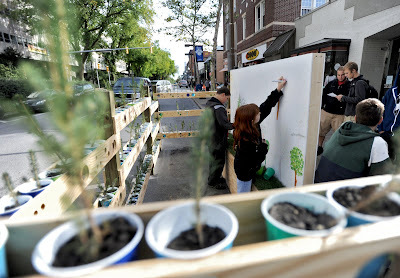 If one drew a tree they were invited to take a spruce tree seedling to plant. The last team, "Grab a coffee, grab a book, grab a seat," invited you into their street side cafe. 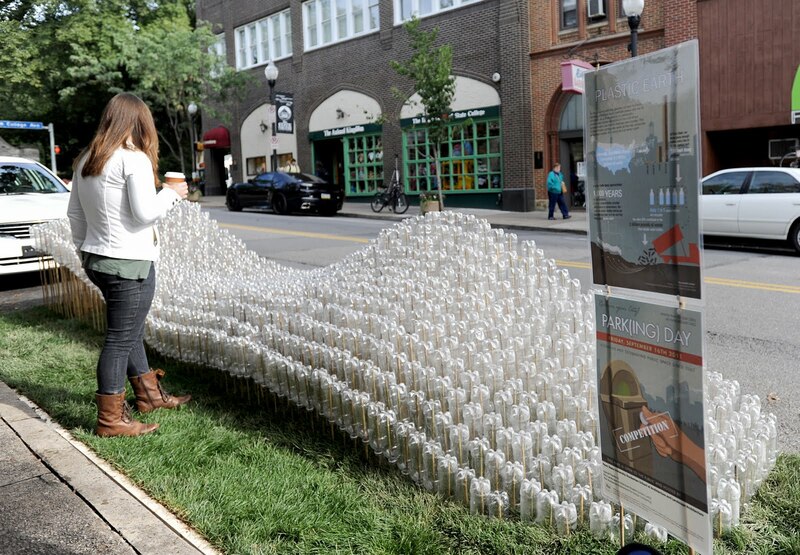 With a mini book shelf and some large comfy chairs you could read about architecture and landscape.